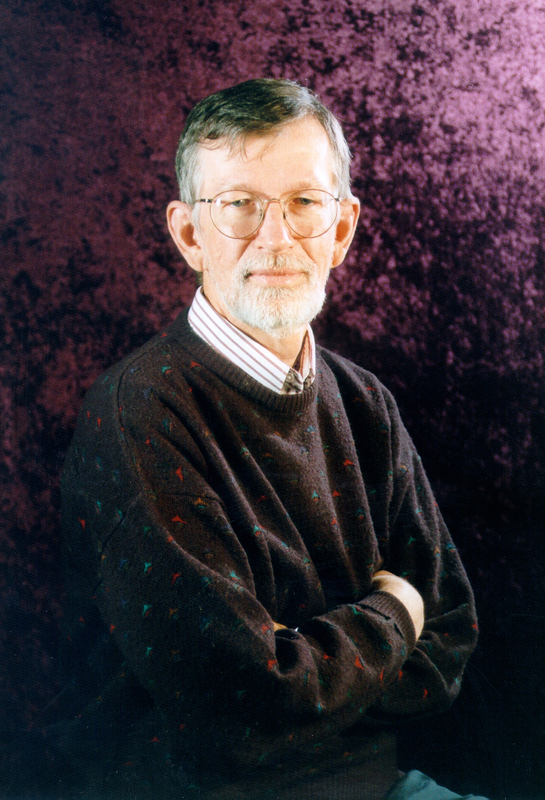 The creation of the Yakima Valley Spirits and Hops Trail reminded me of the Yakima Valley’s connection with Gardiner Greene Hubbard, the founding president of the National Geographic Society and President of the American Telegraph Company, and his son-in-law, Alexander Graham Bell, who is credited with the successful introduction of the telephone. Like other investors in the 1880s, Hubbard and Bell saw the Yakima Valley as a new frontier, having just been linked by railroad to markets in the Eastern United States. In 1884, they established the Moxee Company on land purchased just east of present-day Yakima. Their intent was to create a model agricultural operation that would attract families to move into the Valley and produce commercially viable crops. By 1888, the company was raising cattle and had 1,000 acres under cultivation, including 140 acres of barley, 35 acres of hops, 30 acres of wheat, 35 acres of corn, 50 acres of oats, 240 acres of alfalfa, 78 acres in timothy hay, and 25 acres in tobacco. Hops, tobacco, and sugar beets became the most successful crops. Tobacco growers from Kentucky were recruited to develop a locally grown leaf that could be hand-rolled into locally-produced cigars; but the combination of disease in the form of a leaf blight and the inexperience of Kentucky farmers in growing irrigated tobacco ended this crop in the Valley. Sugar beets suffered a similar fate, first through a blight in the period 1910-1920 and then through better production elsewhere in the country. However, hops have survived, perhaps because the Moxee Company is responsible for encouraging French-Canadian families living in northern Minnesota to move west to the Yakima Valley. Thirteen families, consisting of 52 individuals, came in 1897, and another wave in 1902. These families—Gamache, Champoux, Brulotte, LaFramboise, LaBissonaire, Regimbal, Desmarais, Desserault, Beaulaurier, Belair, Morrier, Sauve, Fourtier, Riel, Houle, Patnode, and others—became the core of the Yakima Valley’s hop industry by the 1910s. Like all industries, however, there have been good and bad times for hops. One of the more interesting periods was when there was an enormous scare caused by the passage of the Volstead Act in 1919. The Act prohibited the manufacturing, sale, or transportation of beer and other intoxicating liquors in the United States. Local bankers, upon whom hop ranchers depended for financing, assumed the brewing industry was dead and refused to lend money. They would not advance farmers the cash needed to hire labor to pick their crop in the Fall of 1919. But those farmers who were able to harvest and store their crop were able to cash in on the brand-new demand for hops—the home-brewing industry. By the early 1920s, hop growers were getting some of the highest returns that they had ever received to date—proving the Volstead Act was not the death blow bankers had projected. Furthermore, blight in the 1930s on the hops grown on the western side of the Cascades near Puyallup eliminated regional competition. By this time, however, the Moxee Company had sold most of its holdings to the individual farmer and eventually discontinued business entirely. However, without the impetus of Gardiner Hubbard and Alexander Graham Bell, it might have taken the hop industry in the Yakima Valley much longer to become established and such an important part of the local economy. 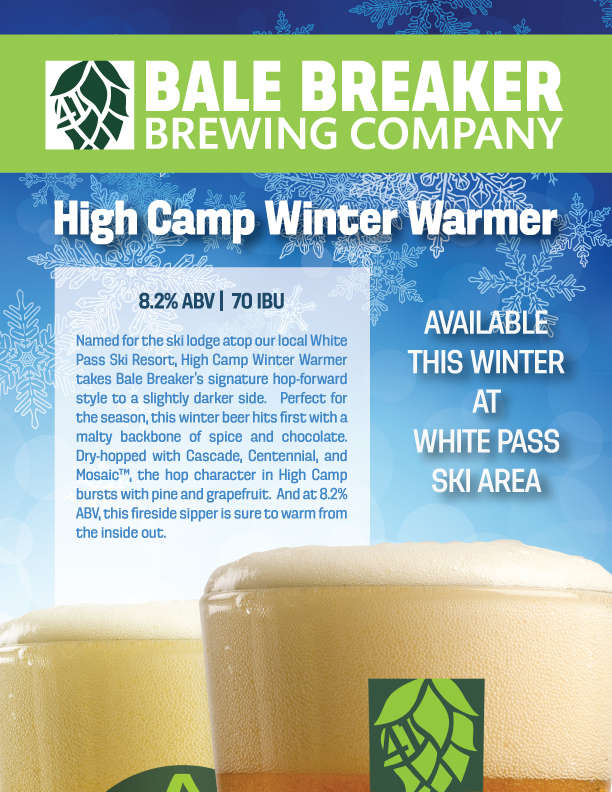 High Camp Winter Warmer, the newest seasonal release from Bale Breaker Brewing Company, will be hitting the slopes at White Pass Ski Area this winter, as well as at restaurants and bars in our hometown of Yakima and select locations throughout eastern Washington and northern Idaho. Having learned to ski at White Pass, the team at Bale Breaker Brewing Company designed this beer with two of their favorite things in mind – skiing and, well, beer. Additionally, the name is a nod to our taproom’s first employee, who manages High Camp Ski Lodge at White Pass during the winter months. ABOUT THE BEER: High Camp Winter Warmer – 8.2% ABV | 70 IBU – Named for the ski lodge atop our local White Pass Ski Resort, High Camp Winter Warmer takes Bale Breaker’s signature hop-forward style to a slightly darker side. Perfect for the season, this winter beer hits first with a malty backbone of spice and chocolate. Dry-hopped with Cascade, Centennial, and Mosaic™, the hop character in High Camp bursts with pine and grapefruit. And at 8.2% ABV, this fireside sipper is sure to warm from the inside out. On your next trip to White Pass, be sure to stop in for pint at the on-hill ski lodge that this brew was named after!